Ciarán Rosney - Irish Country Music Artist. 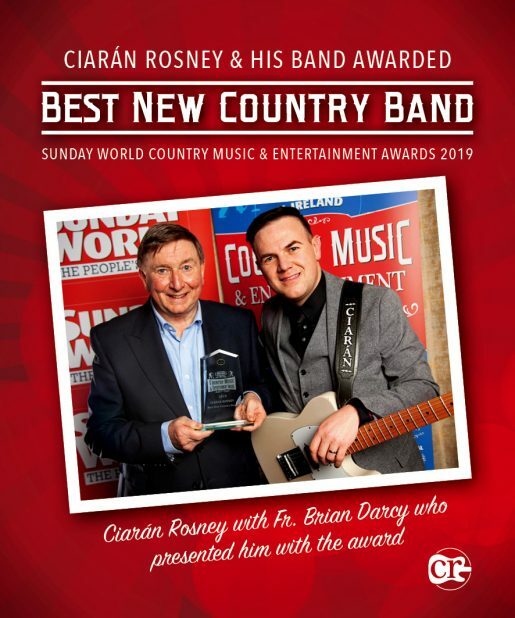 I was delighted to receive the Award for ‘Best New Country Band’ at the recent Sunday World Country Music and Entertainment Awards 2019. A big thank you to everyone for all your continued support it is very much appreciated.